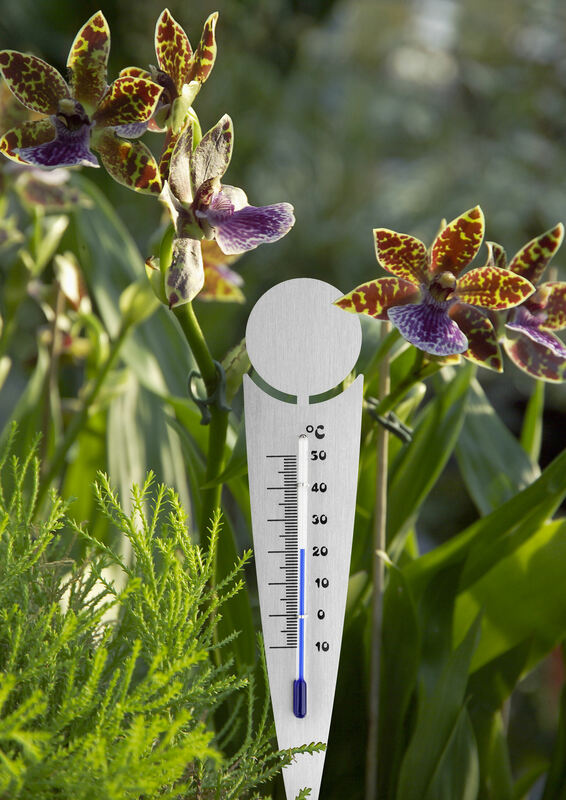 Decorate your container plants and flowerpots with this thermometer made of stainless steel suitable for indoor or outdoor use. The free space is ideal for a personalised text or an advertising print. You can also protect your outside potted plants from frost or heat by measuring the outside temperature.